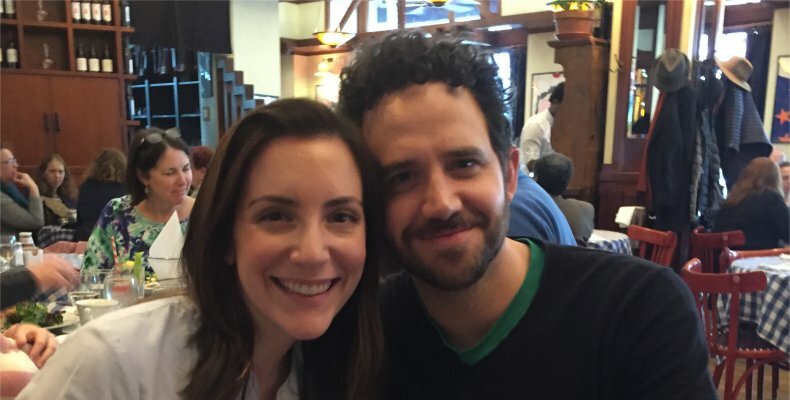 In late March I was in New York for the weekend and had the chance to interview actors Santino and Jessica Fontana. I’d read about their joint career in the arts in a great New York Times article about their wedding, and thought they’d have interesting stories to share about their lives. 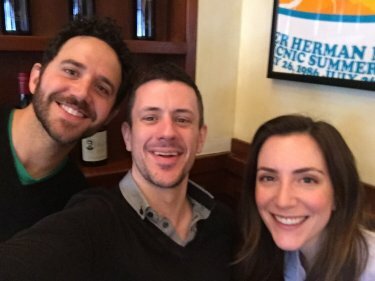 My guess was right, because over an enjoyable lunch at Henry’s on Broadway, Santino and Jessica were funny, engaging and charming as they explained how they try to find the right balance between their professional ambitions and their desire to build a life in their adopted hometown of New York. Santino is perhaps best known for his roles in Frozen and Crazy Ex-Girlfriend, while Jessica’s credits include the off-Broadway show Once Upon a Mattress and the web series Submissions Only. Together they’re helping each other find the perfect mix of work and home life. Click on the picture of me with the Fontanas, or on this link, to read the interview.